We offer live video feeds from all street cameras. 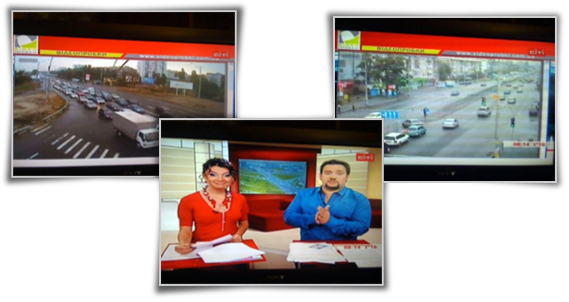 Organized to keep news operations informed about local road and weather conditions in real time, the VIDEOPROBKI user interface helps producers gain ‘big picture’ understanding quickly and select camera views for on-air broadcast. HDTV picture is also acceptable.